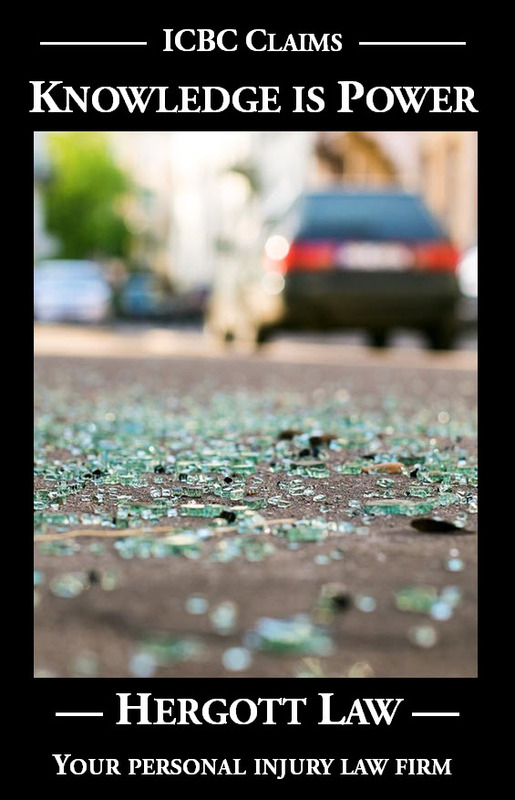 If I am catastrophically injured in a crash, will I recover for my significant home care needs? What if my daughter has been attending to a large portion of my care, but is about to move out on her own? Will the judge accept practical arguments? In a decision released yesterday (Warick v. Diwell, 2017 BCSC 68), Mr. Justice Schultes was asked to assess damages for the future care of a woman who suffered catastrophic injuries in a 2009 crash near Kamloops. She, her husband of 27 years, and two of their close friends were driving home to Edmonton after a ski holiday at Sun Peaks Resort when their vehicle was struck by an oncoming semi-truck and trailer which had crossed into their lane. Her husband and their two friends were killed in the crash. The plaintiff (Ms. Warick) was 52 at the time of the crash, and suffered major injuries – including a spinal injury which left her paralyzed from the waist down. The defendants (correctly, in the view of Mr. Justice Schultes) did not argue that Ms. Warwick’s description of the effect of her injuries was unreliable. They instead highlighted the degree of independence that she had achieved despite her disabilities. They submitted that her cost of future care award should be approximately $1.2M (detailed list at paragraph 237 of the judgment). One major point of contention was the home care expense. Ms. Warick’s daughter Alison had provided much care, as she was a student, and able to restructure her studies and move in with her mother to care for her. At the time of trial she planned to move out the following month. Much argument centered around the care that Alison provided and the deficiencies that would result from her absence. Mr. Justice Schultes rejected the defence arguments about independence, noting that they failed to sufficiently recognize the challenges she experienced, the falls she suffered, and the harm inflicted by the negligence of Alberta Health Services (“AHS”) care aids. I am unable to accept the submission that once Alison’s contribution is replaced, there are no significant deficiencies in Ms. Warick’s current level of care. The defendants’ focus on the independence that she has achieved in many areas does not give sufficient recognition to the challenges that she experiences in performing those tasks, such as her falls during transfers, and their focus on the presence of AHS care does not give sufficient recognition of her uncontradicted evidence of its inadequacy in various respects. In particular, since her major skin problems in the home were caused by the negligence of the AHS care aides and there is no continuity in the aides who attend, I think it is more likely that her success in avoiding them since her foot was dropped in 2012 is due to her own vigilance in instructing and supervising whoever happens to be her aide on a given day, rather than any improvement in their skill level. Instead, what I think the evidence demonstrates is that Ms. Warick is receiving very basic care from AHS, which does not approach what a person of ample means would find reasonable to address her in-home health concerns. I accept her evidence that the aides provided have no knowledge of her particular condition except what she provides to them, that there is little continuity in who attends over time, especially in the evening, and that the rigidity of their availability inhibits her ability to live with the degree of spontaneity that a person who did not have her accident-related health needs would enjoy. The benefits of working with one “trained individual” was a key reason that Dr. Zaki had recommended an “overseas aide”, so continuity of care is more than a matter of her personal preference. With respect to scheduling, the fact that she could, in theory, get up earlier to perform her full recommended bowel routine is neither here nor there in the analysis — under the standard of care that the case authorities endorse, a person in her position should not have to choose between sleeping a beneficial amount of time and obtaining necessary assistance for medically recommended procedures. The same is true of her evening care — even if she does not require additional evening tasks beyond what AHS provides she is entitled to be able to receive them according to a reasonable schedule that permits a fully-functioning life in other areas, such as recreational and social activities. Care that is so rigidly scheduled that she has to forego it if she wishes to pursue an activity outside the home is deficient for that reason alone. I accept Ms. Warick’s evidence that a three-hour period in the morning would allow her to perform all necessary health-related functions. I am also satisfied that a two-hour period between 4:00 and 6:00 p.m. is needed to address her period of incapacitation due to pain-related exhaustion and the use of painkillers. To these, I would add a two-hour period in the evening for end-of-day care, which of course can be scheduled flexibly — perhaps contiguous with the 4:00-6:00 p.m. care if she is staying home and later when she is going out. I am prepared to assume that Ms. Van Kuttefeld’s concern about a two-hour block of time that would involve the aide leaving after 10:00 p.m. can be overcome in some way through the development of Ms. Warick’s relationship with particular care agencies. Overnight care is less straightforward. I take note of Ms. Warick’s current decision to sleep through it and Dr. Zaki’s observation that she has sufficient function to partially assist with turning herself in the night. But I put significant weight on his further opinion that ideally a caregiver would turn her during the night, as well as her evidence that she would make use of this assistance if she had it. The high end of her morning urine measurements is also “quite elevated” from Dr. Zaki’s point of view, in terms of the risks of her developing bladder leakage, so I infer that there are medical benefits to being able to catheterize in the night with assistance as well. Therefore, I think the availability of a care aide during the night, which on Ms. Van Kuttefeld’s evidence can only be purchased in a block of six hours, is medically justified here. To summarize, before dealing with Alison’s lost assistance or any deduction for the AHS care, I conclude that Ms. Warick requires 13 hours of care per day at this point. The defendants did not ultimately rely on the possibility of a live-in foreign worker as a caregiver and even if the availability of that program had not been restricted, as it seems to have been, I would have ruled it out because of the risk of ending up with an unsuitable employee, the administrative burden on Ms. Warick and the likelihood of having to repeat the process as soon as the worker has access to better jobs in Canada. Her best option, in my view, both in terms of the amount and quality of required care and the benefit of flexibility, is to purchase blocks of time as needed from an agency.